my take on a few favorite mags of the month. miss. glamour / january 09. save your money and tune into britney's riveting documentary, britney: for the record instead. it seems to be playing 'round the clock on the tv sets at the gym. i'm even getting sick of it. please bring back my regularly scheduled anderson cooper. tried + true. real simple / january 09. this magazine is made for new year resolutions. this issue is especially for those of us who are compulsive listers. if there were some sort of society, i'd jot down the meeting dates on my to-do list, my calendar and in my planner. and then a sticky note on the steering wheel. pleasantly surprised. InStyle / january 09. bright ideas on every page. smeared with pretty powders, sweet shadows and luscious lip colors to inspire your makeup kit. i thought cute kate hudson's interview was blah but the surprise of a photo shoot with keri russell made it all worthwhile. she sports a beautiful mix of layers, which of course never cover her collarbone (her trademark). there is also a li'l clip from bobbi brown too. this issue is packed with punches. special mention. Cookie / december-january issue. love this magazine. it's about time a hip mom & child magazine hit the stands. my heart stopped at page 150, a story about a place close to my heart, park city, utah. featured is a full page photo of dan's all time favorite pizza place, Davanzas. he drove many a-tourists there, once upon a time. for safekeeping. martha stewart weddings / winter 09. wow. 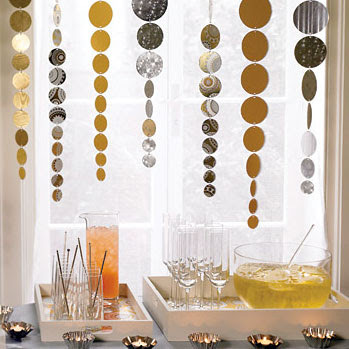 too many fun party ideas to pass up. an amazing wedding in the country, wherein the guests sign their names on squares of linen for a keepsake quilt. and chocolate banjos for favors. another wedding full of bright polka dots and darling fabric swatches. cute favors, amazing stationery, beautiful flowers... martha always does it up right. I loved those streamers in Martha this month. And I've been loving Cookie magazine online- I'll have to pick up this month's issue, especially with the shout out to Park City. Glad you had such a fantastic holiday, Marta! Good concept to talk about your favorite magazines. Body + Soul is always an inspiring New Year's read, especially the '10 Thoughts on Whole Living' on the last page. The week between Christmas and New Year's Day is ALL about putting the house and the heart in order. Enjoy! have you seen the new magazine "seeing the everyday"? you could easily write for it. Hi Marta, thanks so much for the run down. How do you ever have time to read/check out all these magazines? I am a magazine addict but my biggest question is what do you do with them after? I hate clutter but i have such a hard time throwing my mags away. Any ideas? Thanks for the rundown, Marta! This is awesome and will help me weed out the duds. You should do a monthly thing, if it's feasible! Real Simple is sort of my bible. Thanks for the magazine review. I've been thumbing through the Martha Stewart and the Real Simple magazine the past few days but have not bought either one yet. However, I will buy them tmrw because everything you stated about each issue is what I love about each one. One of my new year resolutions is to buy a few magazine subscriptions! these magazine review posts are among my favorite kinds of posts from you- thanks for keeping me connected despite the lack of newsstands in my small town life!